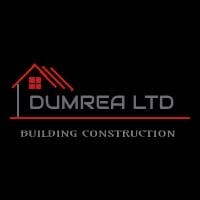 DUMREA LTD.., located in London, is a company that offers a wide range of jobs that are closely linked to the construction industry. The company's employees are able to offer valuable craftsmanship that you respond to the needs of customers, the fact that staff have been working in the construction industry for several years and are honest to solve certain problems that the customer faces. The company provides a kind of intervention that can be immediate and at the same time allows customers to transplant every aspect of their home .. ensuring a unique professionalism. Employees have the necessary equipment, adequate knowledge and sufficient information to bring every customer's expectations. Every type of work to be done in London and on the hub areas will be characterized by a maximum of professionalism . Additionally, every employee is able to offer small tips that allow the customer to know the various tasks they will perform, giving you the opportunity to have a complete livelihood for the work to be done.